The use of pen and paper becomes increasingly inconvenient. Where to put them? Also you have to remember to bring them with you. Your mobile phone on the other hand is always close to you - why not use it together with Agrinavia MOBILE. With Agrinavia MOBILE it is very easy to record all the work you do in the field. Use your phone's GPS and camera to make records of weeds, rocks and drainage. You no longer need to remember to bring pen an paper when you work in the field to fertilize, drill, spray etc. Daily working life has become much easier when it comes to both overview, documentation and registration of the practical field work. Agrinavia Mobile is a web application that works across multiple platforms - this means on all smartphones, tablets and PC's. Online access to data is part of the solution, you can always retrieve your field and farm information from Agrinavia FIELD or Agrinavia MAP via the Internet, on the phone/tablet and across multiple users. Agrinavia MOBILE can be used as an independent product, you can create your field plan and record all types of treatments you do in the field. Agrinavia MOBILE can also be used as an extension of Agrinavia FIELD, Agrinavia MAP or Agrinavia TIME on your PC giving you quick and easy access to all your data on your smartphone. Totals - all totals can be corrected on your device in order to make use of actual inputs in terms of what has been removed from the stock. Just as you can in Agrinavia FIELD on your PC. 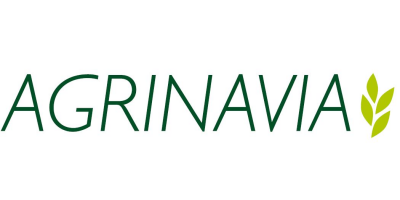 An internet connection is required for you to work in Agrinavia MOBILE or online on Agrinavia FIELD and Agrinavia MAP. The speed of your internet connection is crucial to how quickly Agrinavia programs can work online on your PC. We recommend connection via cable min. 5Mbit download and 2Mbit upload. Wireless internet can create outcomes and lowering speed significantly. Internet connection required via smartphone, tablet or PC (wireless, cable or WIFI). Data subscription must be part of your mobile subscription in order to use the application on your phone. The amount of downloaded data on a typical farm is relatively small when the program is running (there is no heavy pages or graphics). No reviews were found for Agrinavia - Mobile Software. Be the first to review!